Comments or concerns? Simply call us on 07 5538 8252 and one of our friendly team can help you. Need something specific? Let us know! 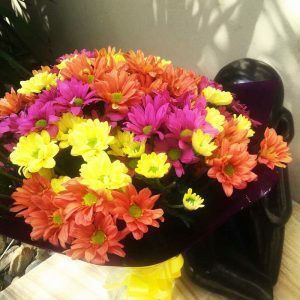 Our expert florists can help you make that special gift extra beautiful. 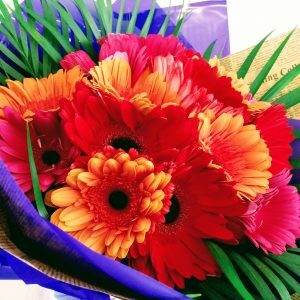 Loved your flowers? Tag us on insta, facie or simply send us an email and get featured on our socials or right here on our website! 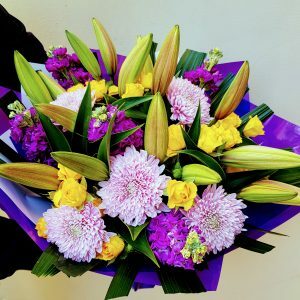 I just wanted to drop you a line and say “thank you very much” for the flowers, champagne and chocolates that you recently arranged to go to my daughter at the Gold Coast for her birthday. She said the gift was absolutely beautiful, so again, thanks very much for all your help. I’ll be recommending you to everyone I know. Thank you very much for your awesome service! I will definitely come back to Flowers With Style. 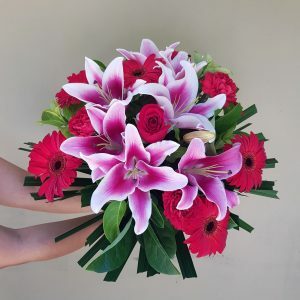 Just a brief message to say “THANK YOU” for the wonderful service and those amazingly stunning Roses that you delivered to my wife at her school at Biggera Waters on Tuesday…… Susan loves them as did half of the Biggera Waters State School Staff…. 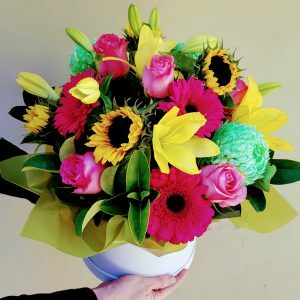 this was my 2nd order from your excellent Flowers With Style shop and you must applaud yourselves…. I shall return…. Thank you the flowers were just beautiful. I will definitely be using your service again in the future. Thank you so much for delivering the flowers to the conference. They were absolutely stunning and the girl who won them at the end of the conference was just delighted! Thanks again for a wonderful floral display – they certainly were flowers with style! Just wanted to let you know we have just heard from the Father Bear of Isabel regarding the special delivery you did for us today to Molendinar. Glenn had to ring us on the quiet as apparently Mother Bear couldn’t talk to us as she was thrilled and was a bit overcome by it all – so Well Done You. Thank you again, it is so very pleasing to be able to do something to make people feel special and happy and you have done this so well on our behalf. Thanks very much for your help and for making everything so easy. Thank you for responding to my plight in a caring and professional manner. I will certainly recommend your service to friends and acquaintances. Subscribe to our free Email Newsletter here for product news and more!